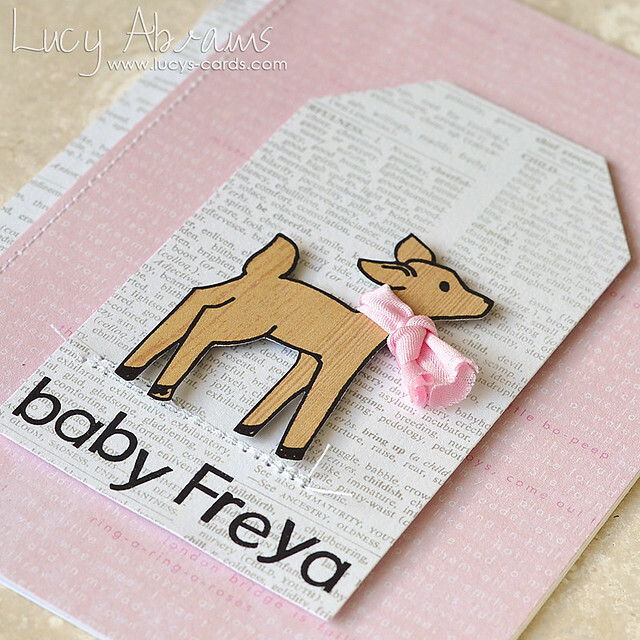 Lucy's Cards: A new baby! There's a new baby in our family. My sister-in-law just had a baby girl. Hooray. 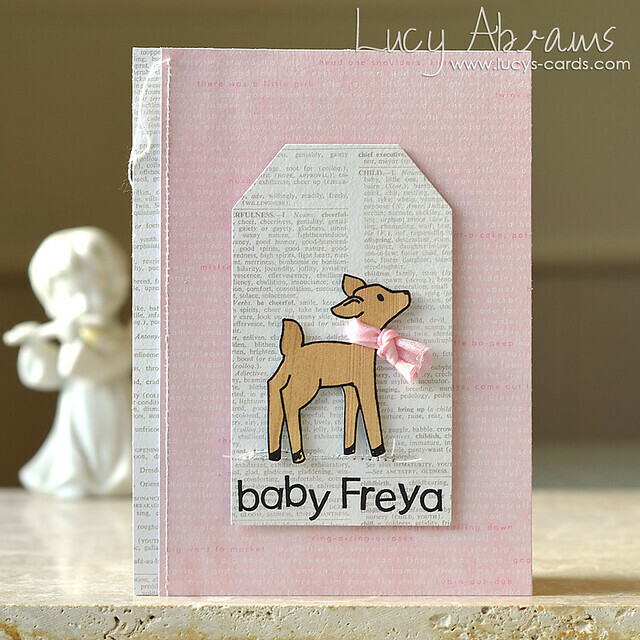 So I picked my favourite stamp for baby cards - the cute deer from Avery Elle's Storybook set - added some lovely papers from Pebbles Special Delivery pad, and some Clearly Besotted alphabet stamps. This baby card is SO adorable! I love the stitching and the pink scarf!! It made me go "awwwww"
Oh this is really sweet Lucy! Congrats on being an aunt!! First time? Sweet card, perfect for the new baby girl !